BCP is proud to announce that we are launching our very own podcast. 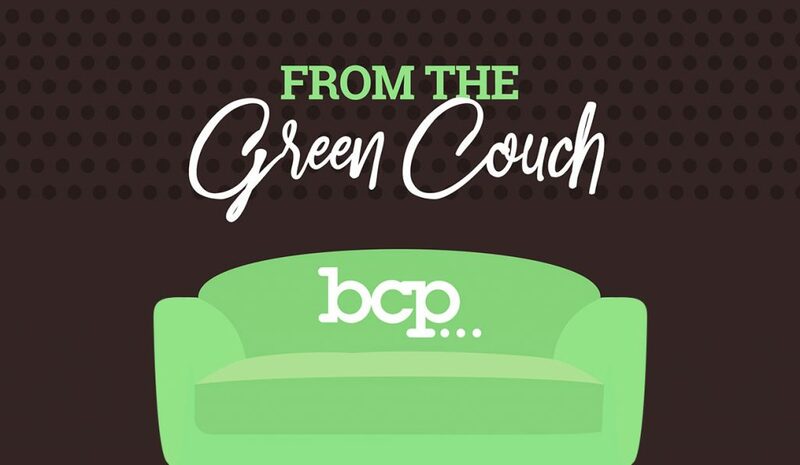 From the Green Couch will cover all things creative advertising through the eyes of a small-but-mighty agency. Two members of our digital team, Kylie and Catherine, will be your hosts, interviewing BCP team members and guests on industry trends, best practices for creatives and office life. You can hear our first podcast, How to Be a Kick A** Intern, here! We sat down with our former digital marketing intern Nareh Vartanian to talk about her experience interning with BCP and tips for getting the most out of an internship experience. Stay tuned in the coming weeks to hear from Jeff Blohm on office communication and how interpersonal communication at the office can make a big impact on how you communicate with your customers. We believe every brand has a unique story to tell and a dynamic audience waiting to hear it. Think your brand might want to launch a podcast? Contact us today at 517.333.4900 or at partners@blohmcreative.com to find out how we can help.